Elaborate, ornate and intimate are just a few words to describe the Azamara Quest. With slightly more than 690 guests you'll discover unparalleled service with one staff member for every two guests. Be pampered with one of the many body treatments being offered at the Astral Spa or relax poolside in a lounge chair reading your new favorite novel with the sights and sounds of the ocean all around you. Explore one of the many exotic ports of call during the day and in the evening meet up with new found friends to recall your fabulous day over a classic libation in the Discoveries Lounge or soak up the soothing sounds of the grand piano at the Drawing Room. With impeccable service, scrumptious cuisine and longer stays at out of the way destinations - discover what it means to sail with Azamara Club Cruises. 360 cabins and 23 cabin categories. The service great, food good, boat tours where not what they offer. Milford Sound tour was suppose to take us on the gondola to see Queenstown and the Kiwi and they did not do that. 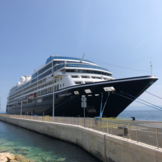 First cruise on Azamara & loved it. Best private tour for two days in Bangkok. Travelled to 4 temples, amulet, flower, organic markets, Gold Mountain, Jim Thompson House tour & shop, dim sum lunch in Chinatown, Chinese pagoda, walk through Chinatown, tuk tuk & long boat ride, & even to the Skybar for a drink & view at sunset. All tours on cruise were fun & educating. Food was great, service was superior, even got to do free laundry on board. 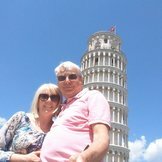 We had a wonderful time & would book another tour on Azamara. We would do this line again, but look to the newer ship and potential upgrade to a suite. We really liked the staff and the destinations. Enjoyed staying overnight in a port so you could do two things, or just chill on the second day. But the rooms were small, the showers smaller and the bathroom did not feel clean to me. I think it can do with an overhaul. In addition, the food was mediocre at best. We enjoyed the Italian dinner at Aquafina, but for the others, they were worse than any other cruise line we had been, including Carnival.